Happy Friday! I hope that you had a wonderful week! 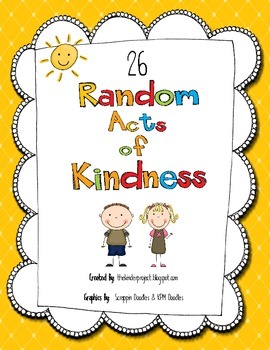 On Monday I shared a list of random acts of kindness that you can do with preschoolers, today's freebie is an additional list. You can print this Random Acts of Kindness Freebie out and hang it on the wall so that you can check of each activity as your class completes it. Download your copy from the Kinder Project and have a great weekend!